Igor Obolensky’s book “Destiny of Beauty” will charm you with the beauty of Russian and Georgian princess and its unique photos. It will grab your attention with the artistic way of retelling amazing stories. It talks about how the country’s history changes people’s destiny and how a person can preserve his soul and body. -I started working on the book the day after I met Catholicos Patriarch of All Georgia Ilia The Second. During our meeting His Holiness ordered that I should do everything to settle relations between our countries – Georgia and Russia. Of course, I understand that a writer and journalist is unable to solve such important issues. But I tried to talk about our sincere and long friendship in my book. 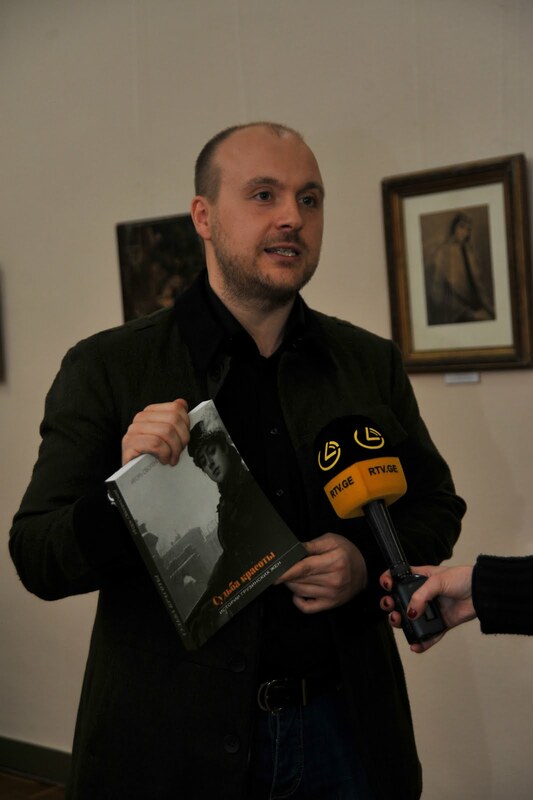 However, the book is not dedicated to love and friendship between only Georgian and Russian people. “Destiny of Beauty” retells the story of Nino Andronikashvili, wife of the Iranian prime minister during The Second World War; Salome Andronikova, friend of Winston Churchill’s wife and Aristotle Onassis; one of the world’s first top models, Coco Chanel and Elsa Schiapparelli – Lidya Zelenskaya. In short, the ladies that are my heroes were born in Georgia and they managed to charm and conquer the world. -It might have been very hard to search for photos and other archives for the book. Can you tell us about the working process? -It really was not easy but I can proudly say that I could find approximately 200 unique photos. I worked a lot in Moscow, Tbilisi and Paris. How touching were the letters these amazing ladies wrote and got. One of my favorite hero – is princess Salome Andronikova, wife of French Army General Zinovy Peshkov, son of writer Maxim Gorky as well as muse of such painters as Kuzma Petrov-Vodkin, Vasily Shukhaev, Alexander Yakovlev and Zinaida Serebryakova. She actually rescued great Russian poet Marina Tsvetaeva from starving to death. It is possible to make a book with letters of Tsvetaeva and Andronikova. Searching for those portraits of those Georgian ladies, which were made by painter Savely Sorin, is another story. 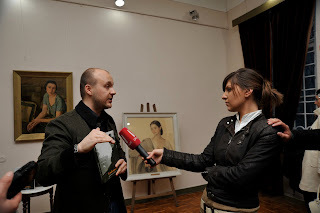 Sorine’s widow gave to Georgia portraits of Elisso Dadiani and Melita Cholokashvili, but I am also interested in what happened to portrait of Mary Sharvashidze, lady-in-waiting of last Russian Tsarina and model of Coco Chanel in exile. The widow of the painter was planning to present this portrait at the Georgian National Museum. She wrote about it but I couldn’t find the portrait for a long time, until I found out in the last minute that Sorine’s widow had changed her mind and she gave it as a gift to the Princess of Monaco Grace Kelly. Famous beauty comparably appreciated the gorgeousness of wonderful Georgian lady and hung the portrait in her bedroom. Some say that Grace Kelly would look at Sharvashidze’s portrait after waking up and then she would look in the mirror. This would tell her if she looked good that day or not. -Do you think that beauty is followed by a special destiny? -You know, there is an expression that says, “God helps the beautiful”. This of course doesn’t mean that beauty guarantees happiness. My heroines have different destinies – some happy and some tragic. But all of them have had very interesting lives. -We learned many interesting things from your book and I thank you. It was news for me that Tamar Gamsakhurdia was a friend of Marlene Dietrich and Jackline Kennedy. -Before that she was a famous ballerina. She replaced Matilda Kshesinskaya in Moscow, Zimin’s private opera. Revolution haltered her further career. She moved to Tiflis from Russia. In Georgia the cultural life was similar to that in Paris in 1919 -1921. So the expression “Tiflis is a little Paris” is not unreasonable. Georgian ballet at that time was headed by Anna Pavlova’s friend and partner Michael Mordkin. Of course, he accepted Tamar Gamsakhurdia with great pleasure. When Georgia lost its independence, Mordkin suggested Pavlova to take Gamsakhurdia in her group. Pavlova’s sudden death in 1931 perturbed cooperation of the two ballerinas. And then Tamar decided to rent a studio which she paid for with sewing. Suddenly, sewing completely changed her destiny. Marlene Dietrich adored Gamsakhurdia. There are preserved letters of the actor written to the friend. Partly Tamar’s talent and her magic corsets created a myth of Marlene Dietrich’s divine proportions. However, Dietrich never forgot about that and she connected Georgian modeler to American President’s wife- Jackline Kennedy, who also became her devoted client. -Will the cycle that your work continue?